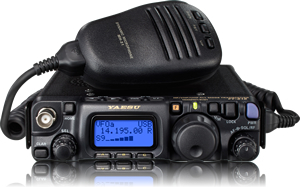 The new FT-818 incorporates all the many basic and attractive features of the ever-popular FT-817ND while providing upgrades desired by many existing owners. The FT-818 provides 6W of solid output power with an external DC power source. The supplied Ni-MH battery pack (SBR-32MH) has been upgraded to now provide larger battery capacity - 9.6v/ 1900mAh. The recent launch of several new satellites is a certain indicator that the large global community of satellite enthusiast are going to be very delighted to learn that the FT-818 includes a Built-in TCXO-9 oscillator that gives the FT-818 fantastic frequency stability (±0.5ppm).